Winter is coming. House Stark of Winterfell is one of the great houses of Westeros. 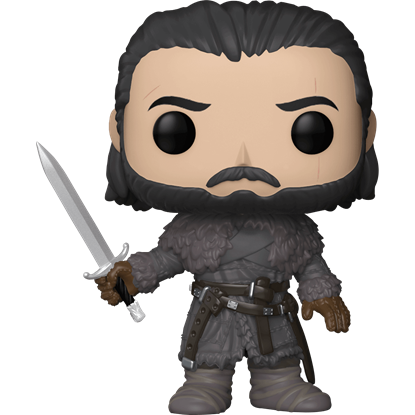 They rule as wardens of the north and have many lesser families sworn to serve. Now, you can proudly join the number of vassals who bear the Stark emblem. We make it easy to show your Stark colors, by grouping them all together here in our Shop for House Stark section. The Starks have long been warriors in the North, and their descendant, Bran the Builder, is credited with having raised the Wall that keeps the Wildings and the Others out of civilized Westeros. 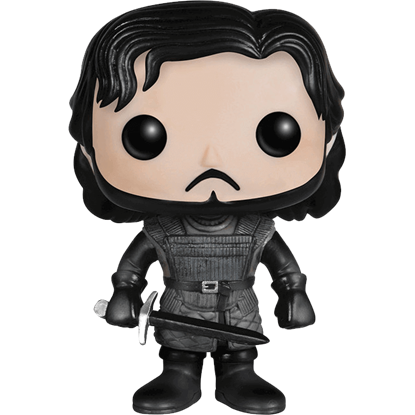 In A Game of Thrones and a Song of Ice and Fire, the Starks have played many pivotal roles - Jon Snow serves in the Nights Watch, Robb Stark was a capable leader, Sansa Stark was betrothed to the king, and Eddard Stark served the previous king as the Hand. 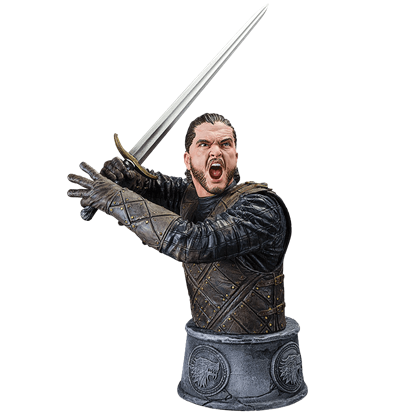 Fly your Stark standard high with weapons, collectibles, glass and drinkware, and more, all found right here in our Shop for House Stark section. 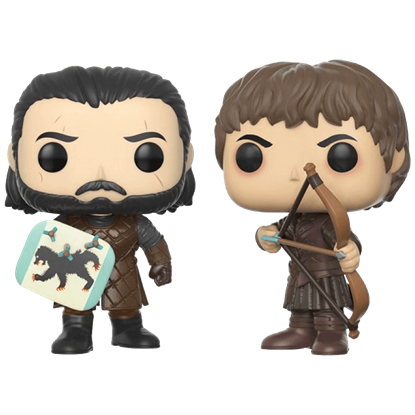 Based on the pivotal battle in the north between Jon Snow and Ramsay Bolton, the Battle of the Bastards POP Figure Set depicts the leaders of the opposing armies in their battle armour. Despite their cute chibi looks, they look mad! 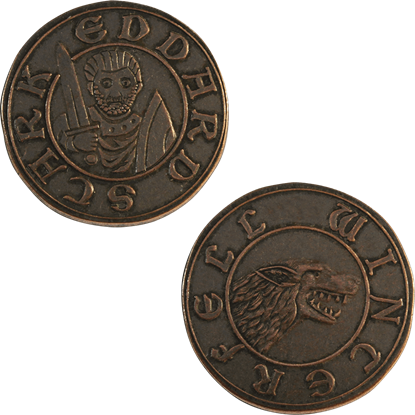 The Copper Half-Groat of Eddard Stark is an example of coinage that is not only licensed by George R. R. Martin for his A Song of Ice and Fire series, but also replicas that utilize history and fantasy to be nothing short of appealing. Before the Targaryens conquered it, Westeros was seven independent kingdoms. In the north, the Starks ruled. 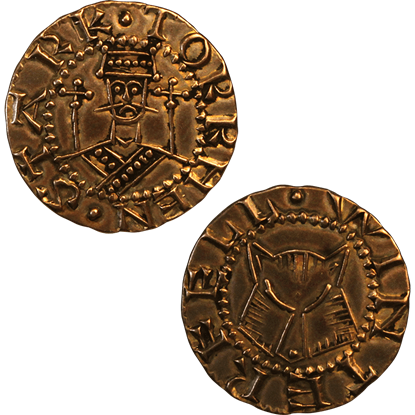 This Copper Penny of Torrhen Stark is an example of coinage from that era, inspired by A Song of Ice and Fire novels. Perfect for gamers and collectors, the Game of Thrones 6-Piece Half Penny Set features a selection of fantasy coins from six of the houses of Westeros. 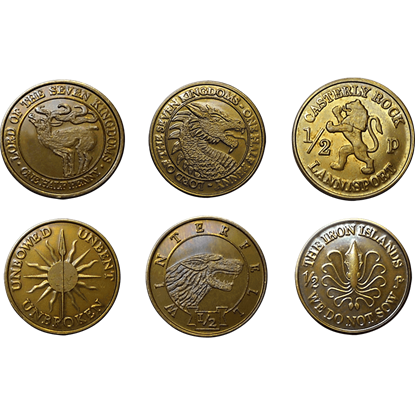 These Game of Thrones coins display a darkened patina for a realistic look. A spirited and unconventional high born lady, Arya Stark is the youngest daughter of Lord Eddard Stark. 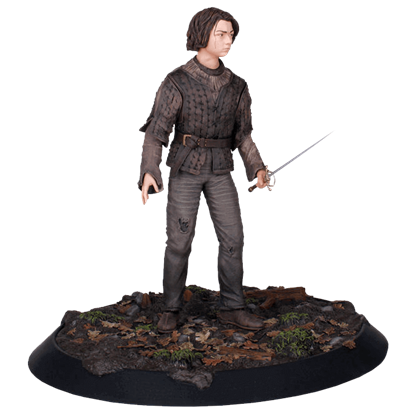 It is in her likeness that the Game of Thrones Arya Stark Legacy Figure is designed, after her grueling travels across Westeros. 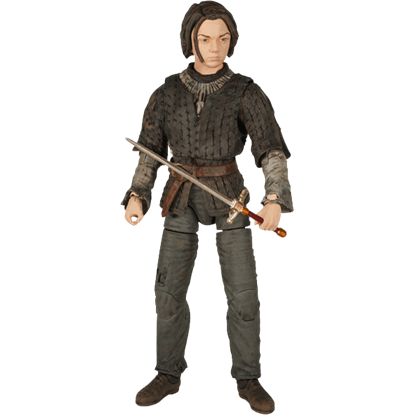 The younger daughter of Eddard Stark, Arya displays a headstrong attitude, fascinated by sword fighting and other unladylike pursuits. 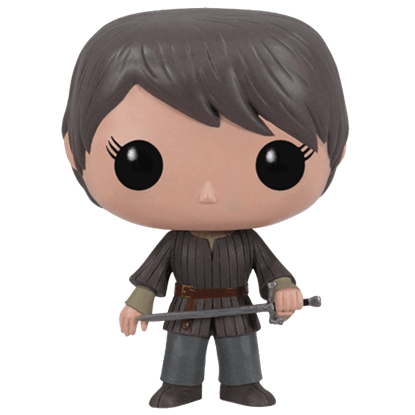 The Game of Thrones Arya Stark POP Figure portrays the spirited tomboy in chibi style. 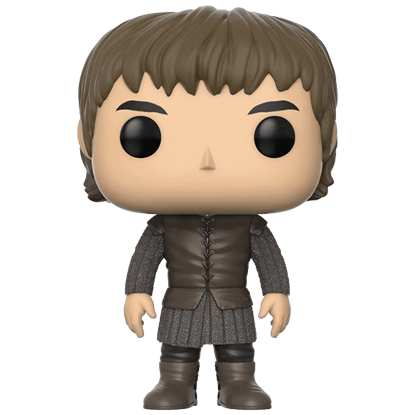 The Game of Thrones Bran Stark POP Figure depicts the Warg who was born to the House of Stark. 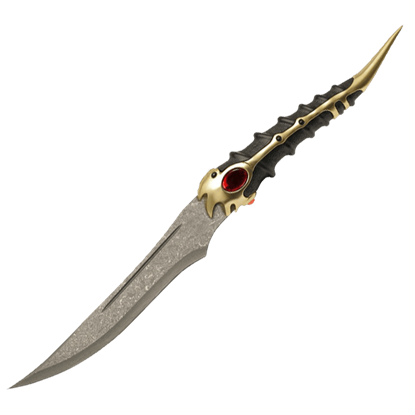 The gift of Greensight led the prince to go beyond the Wall and follow a path that would lead him to the role of Three Eyed Raven.